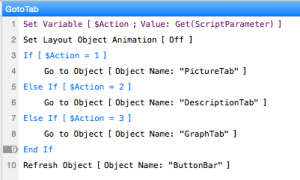 How to Create Dynamic Tab Panels in FileMaker 14 . With a combination of the slider panel and the button bar you can now create your own tab panel using just one script. when using your own homemade tab panel, you can easily hide and un-hide tabs with the Hide function. Step one. Instead of creating a tab panel, we are going to use a slider control. Create the slider with all the available objects in the slider. Each panel needs to get a unique name. Use the inspector to assign the names. 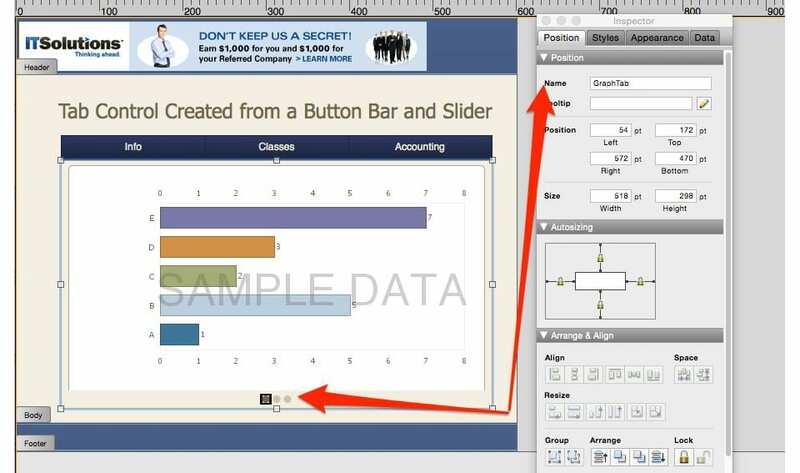 The above image shows a slider panel named “InfoTab”. Until we are done, I like to show the navigation buttons at the bottom. When we are done the buttons will be hidden. Step two. Create the tab interface. Create a button bar across the top of the slider with as many segments as slider panels. Give each button a title, these are the tabs. Step three. Check the format of the button bar to make sure that it is formatted to active and inactive conditions. One of the great things about the button bar is that the style includes the active status. One thing I have noticed is that some of the built in styles have an active status that is too similar to the normal status. Select the button bar, then in the selector, change the object selector from ‘Button Bar’ to ‘Button Bar: Segment’. The states available are: active, inactive, hover, pressed, and in-focus. Make sure the active and inactive styles are distinctive. The hover and pressed states are nice, but not quite as important. The in focus state isn’t relevant for this discussion. When you are designing tabs that look like traditional tabs, you will need to modify the button bar: divider style. For many of the themes there is a default divider. There are a couple benefits of using this technique. The first is to hide tabs as mentioned above. Once everything is strung together, you can use the ‘Hide Object’ feature to hide specific buttons. Once a tab is hidden (and it’s actually hidden this time), the users can’t get to that slider tab. See the demo file for more examples. The other benefit of creating tabs using this technique is because it gives you more freedom to decouple the location and the information of the tabs. Below is an example of a design motif I worked on years ago for an EMR. The design is infinitely easier in FileMaker 14 than it was in FileMaker 7. Finally, you can also include icons in your tabs if you want. Using the new icon feature you can include a descriptive icon with each tab. As you begin using the new design tools in FileMaker 14, you will discover many other creative ways to improve your solutions. We hope this example is useful for you, and inspires more creations. Contact IT Solutions today if you'd like assistance upgrading your solution to the lastest version of FileMaker. From time to time we get requests to hide a tab panel from a particular user or privilege set. Before FileMaker 14, this meant using the get(TriggerTabPanel) functions to exit out of the panel before entering. This option was a bit dicey since the user could potentially see that the hidden tab still exists. 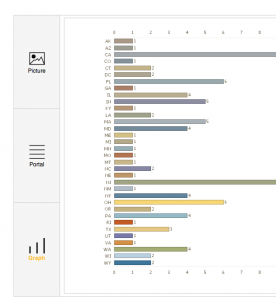 Even if you used conditional formatting to grey it out, if the user was on a slower computer they might get a peek at the hidden fields on the panel. The other option was to create separate layouts for each group or permission, which results in a lot of maintenance for the developer. Luckily, things have improved a bit in FileMaker 14. 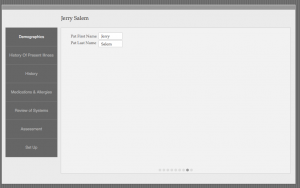 With a combination of the slider panel and the button bar you can now create your own tab panel using just one script. when using your own homemade tab panel, you can easily hide and un-hide tabs with the Hide function.